Ivory and Gold Zemirot. 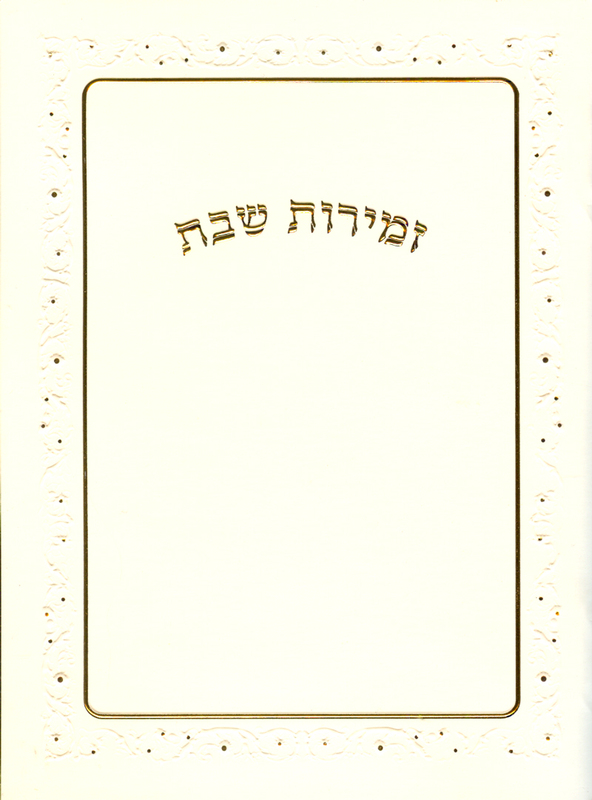 Neat Ivory cover is adorned with gold lettering, thin border & accents. All 62 inside pages are framed with an elaborate, gold designed border. Zemirot comes in the great popular size of 4.6 x 6.2. Includes all Hebrew full Shabbat Zemirot, Birkat Hamazon, Sheva Berachos and traditional simcha songs.